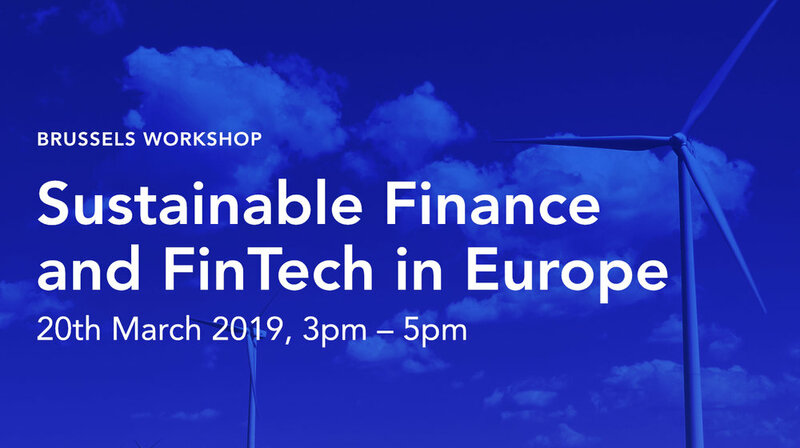 “Sustainable Finance and FinTech in Europe” is a study by the UN Environment Financial Centres for Sustainability (FC4S) European platform in collaboration with Stockholm Green Digital Finance. 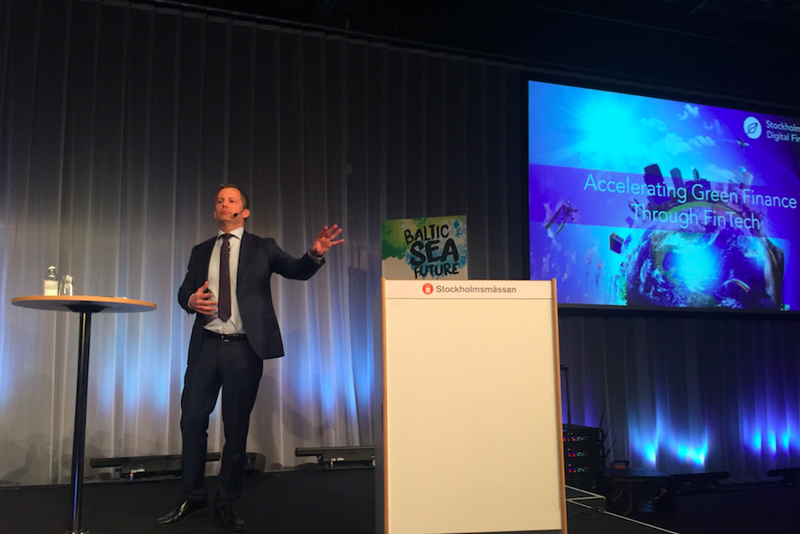 It marks the start of the FC4S Europe Fintech Innovation Workstream on the intersection of Sustainability – Finance -Technology. FC4S Europe activities are supported by EU EIT Climate-KIC. The UN-led Financial Centers 4 Sustainability (FC4S) network convened members in Shanghai for its second official network meeting, gathering members from Toronto to Hong Kong. Stockholm Green Digital Finance, being a founding member to the FC4S Network, organized a demonstration and panel discussion at the FC4S public event in Shanghai’s tallest building, Shanghai Tower. The choice of venue corresponding well to the Chinese saying “to go the farthest, you need to stand the tallest” and the tall ambition of the Green Assets Wallet to accelerate green finance. The Green Assets Wallet session was moderated by Lan Qi, GIZ China, and participants could hear from all user sides of the upcoming technology. Erika Wranegård at Öhman demonstrated the technology talking about the benefits for investors to access transparent and reliable impact reporting in one place. Chairil Nazri Ahmad from UiTM shared their experience issuing a green bond stating that “if the GAW would only take away 10% of the time required for a green bond issuance, that would be a significant time saver” adding that the GAW also presents the opportunity to access global investors directly. He Chang from the GAW’s latest project partner CECEP Hundred spoke about the green finance market in China and how the Green Assets Wallet fit well with their ambitions. The event was a pre-launch and demonstration of the Green Assets Wallet in the Chinese market. The Chinese market is important to the work of the Green Assets Wallet due to the country’s leadership in green finance. The Green Assets Wallet will be demoed again in an upcoming event on November 2nd in Beijing. The first version of the technology will be launched and go public on November 27th at Climate Finance Day in Paris. 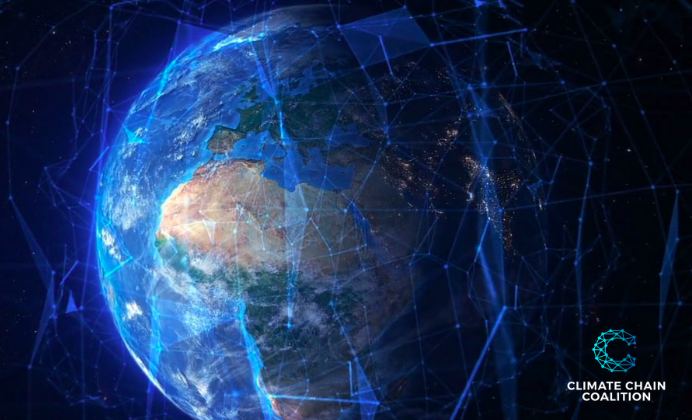 The Climate Chain Coalition (CCC) is an open global initiative to support collaboration among members and stakeholders to advance blockchain (distributed ledger technology) and related digital solutions (e.g. IoT, big data) to help mobilize climate finance and enhance MRV (measurement, reporting and verification) to scale climate actions for mitigation and adaptation. -There are obvious synergies between Stockholm Green Digital Finance and the objectives of the Climate Chain Coalition and we look forward to collaborate on solutions for accelerating climate finance globally, said Cecilia Repinski at the first inaugural meeting of the Coalition in Frankfurt on May 25th. More information on the Climate Chain Coalition can be found here. Both Sweden and France have risen to the task of meeting the Paris Accord by demonstrating leadership on green finance and investment in the fight on climate change. As such, the countries have agreed on a partnership to continue leading the way as green finance pioneers for others to follow suit. On May 29, the Swedish-French Partnership on Sustainable Finance convened at Swedish bank SEB in Stockholm to discuss and share experiences in green financial innovation. Since world leaders finally agreed on the Paris Accord to fight climate change, France has taken a number of steps to deliver on the Accord including issuing a sovereign green bond for green projects including solar roads. Sweden has long led the way in green bond issuance and to scale the market further, the Swedish Government launched a Green Bond Inquiry in 2017 headed by Mats Andersson. One of the key recommendations to the Swedish Government is to issue a sovereign green bond just as France. The Radio Program "Klotet" convened a panel during the Swedish-French conference to discuss the importance of green financial innovation, the additionality vs. leadership signal of a state green bond, other green financial innovations (such as crowdfunding) as well as blockchain based solutions for speeding up green finance. Panellists included Per Bolund, Mats Andersson, Thomas Sterner and Cecilia Repinski. -We want to scale green debt supply by cutting costs for issues of green debt, for example, through automated validation and impact reporting of green deliverables, says Cecilia Repinski, Executive Director. The Green Assets Wallet is an innovation project that will demonstrate such removal of transaction costs through remote sensing, IoT etc. -At the same time, we need to deliver the reliability needed for investors to consider a wider range of investment opportunities, for example, in new entrants in Emerging Markets where the needs are the greatest. The FC4S Network is set up to exchange experience and take common action on shared priorities to accelerate green and sustainable finance. The Network investigates transformational opportunities for sustainable finance and facilitates cooperation for global reach. As a founding Network Member, Stockholm Green Digital Finance, extended an invitation for FC4S Network Members to participate in the Green Assets Wallet innovation project, funded and co-developed by the Emerging Markets Dialogue on Finance of GIZ. Network Members were called upon to see how the Green Assets Wallet can serve actors in their markets with respect to green debt opportunities. Either to attract sustainable investments, or to identify credible investment opportunities, with a special focus on Emerging Markets. The list was put together by LATTICE80 in collaboration with Miss Kaya, the financial platform for women, as a way to promote inclusion and diversity in the fintech sector. As opposed to the traditional banking sector in the past decades, we continue to see more women as entrepreneurs and holding key positions across a range of financial services organisations, LATTICE80 writes. The full list can be fund here. As the Green Assets Wallet technology build is moving into the Beta development phase, all project partners convened for detailed discussions around the completed phase and the next steps of the innovation project. In the Alpha phase, critical steps and choices were made in terms of transparency, level of identify, units, objects and flexibility. August Botsford of ChromaWay, Technical Lead for the Green Assets Wallet, presented and facilitated a discussion with all partners around how green finance elements translates into the Postchain technology. 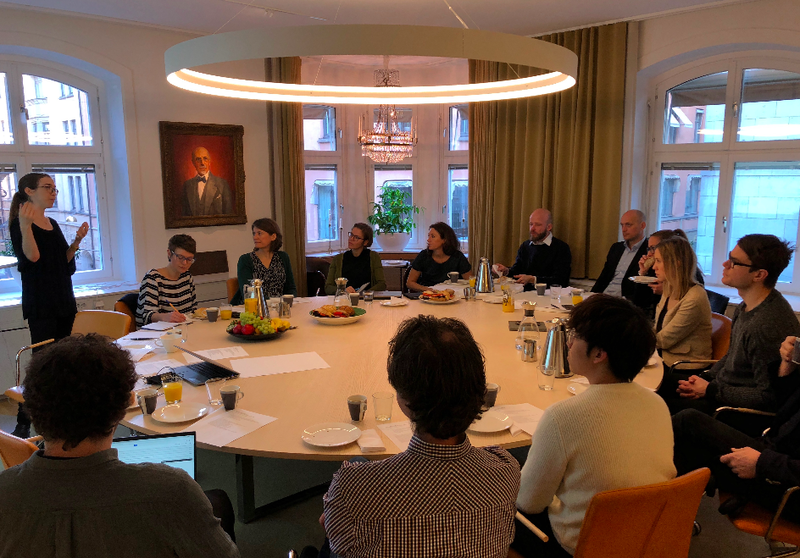 Kristna Alnes from CICERO co-facilitated the discussion by connecting the technology dimensions with a green finance context, for example, concerning impact reporting. 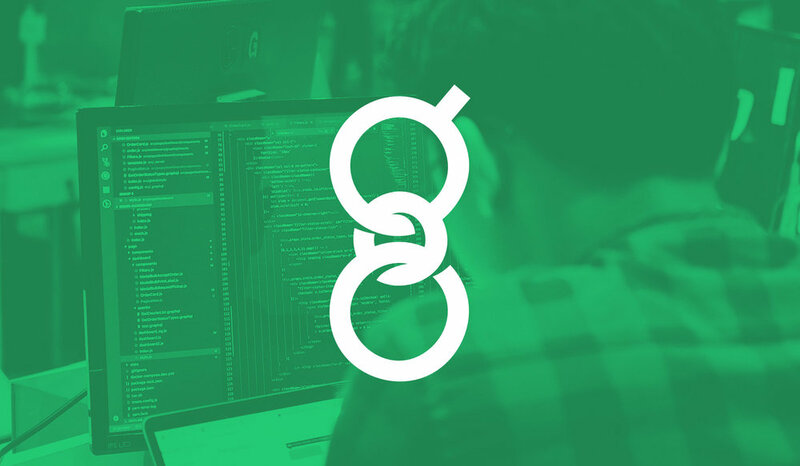 The Green Assets Wallet team is now embarking upon the Beta development phase. The Green Assets Wallet is a joint innovation project under the lead of Stockholm Green Digital Finance with ChromaWay, CICERO, GIB, Vasakronan, Mistra, Öhman, SEB. The project is funded and co-developed by the Emerging Markets Dialogue on Finance of (GIZ) GmbH commissioned by the German Federal Ministry for Economic Cooperation and Development (BMZ).